Rockgirt is a historic house in Canton, PA. Built in 1884 by Bishop Philip Brooks, the house has served as the summer vacation home and permanent home to many families over the last 130+ year. Nestled in the heart of the Endless Mountains, Rockgirt offers beautiful vistas and a peaceful environment to relax and nurture your creative side without being too far off of the beaten path. 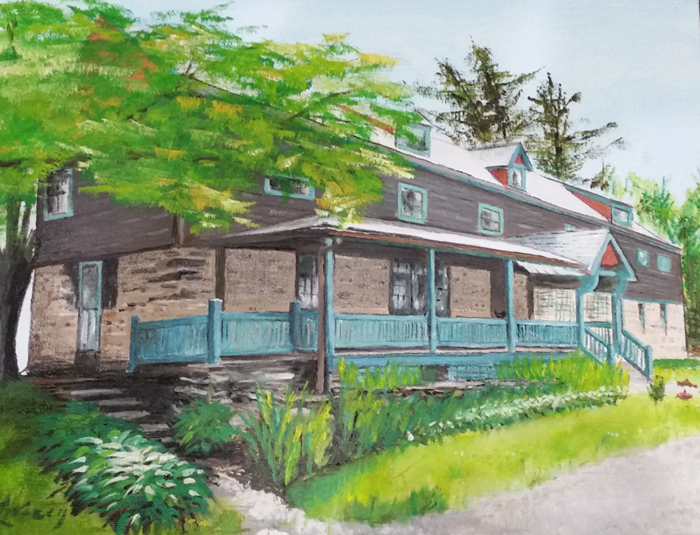 At Rockgirt, you can find your peace-of-mind at our serene Bed & Breakfast, have your important art mounted and framed with care, or explore your creative side with our Zentangle® and Calligram classes. Please visit our pages above for more information on our services.